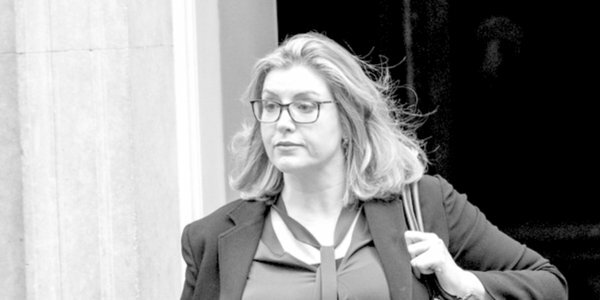 THE Minister for Women and Equalities, Penny Mordaunt, yesterday appointed the first national adviser for LGBT health in the NHS, and an advisory panel. This is to fulfil the Government’s stated commitment to ‘improving lives as set out in the landmark LGBT Action Plan’. TCW has repeatedly queried the Conservative government’s wisdom in adopting what amounts to an extreme ideological, Leftist agenda. Last year Kathy warned of the revolutionary transgenderism on the march in Britain astonishingly under the auspices of a Conservative administration. Consultations on ‘reform’ of the Gender Recognition Act closed last October, with the government still in denial about the conflict with the women’s rights movement it inevitably causes. They are currently analysing the feedback. In the meantime Mordaunt is busy progressing a narrowly defined so-called LGBT agenda, appointing a specific NHS clinical adviser on LGBT health issues, an ‘expert’ panel to focus on issues ‘such as conversion therapy, improving access and tackling inequality in healthcare’, and announcing a Government Equalities Office-hosted inaugural national LGBT conference. Dr Michael Brady, medical director of the Terrence Higgins Trust and a sexual health and HIV consultant at King’s College Hospital, London, is to advise the government on ‘improving healthcare professionals’ awareness of LGBT issues’ and, worryingly, on ‘the implementation of sexual orientation monitoring across the NHS’. The full list of the government’s new appointees can be found here. Already some concern is being expressed as to the trans-activist interests of many of those that Ms Mordaunt appointed. We appreciate, as the Government itself states, that LGBT people are more likely to experience mental health problems than the general population and therefore may need special help. We hope however that this help is cognisant of the dangers of bowing to activists’ demands and to the use medicine to pursue an ideological cause that the psychotherapist, Bob Withers and the distinguished clinical psychiatrist, Dr. Paul R. McHugh have both recently warned against.